Chick Singer Night At the FAIR! 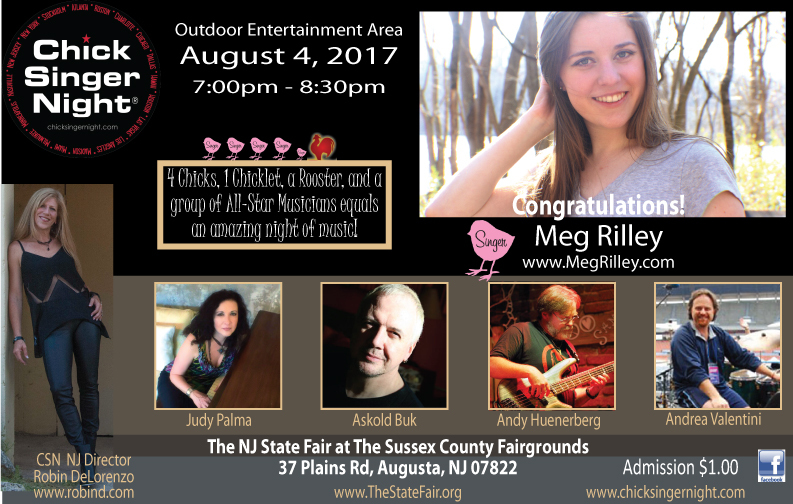 So happy to have been selected as one of the Chick Singers for the NJ State Fair’s opening night! It’s the Fair’s first ever Dollar Day, entry to the fair is $1, and the show $1! I will have tickets with me at my shows!